Students in these programs have an average high school graduation rate of 98%, in contrast to the Philadelphia School District’s graduate rate of 64% last year. Your unrestricted support ensures that we not only celebrate the achievements of today, but that we also cultivate the students and leaders of tomorrow. Our namesake Benjamin Franklin noted that, “Genius without education is like silver in the mine.” Help us to mine that silver. To support the Education Fund, please donate now or contact the development office at 215.448.1130. 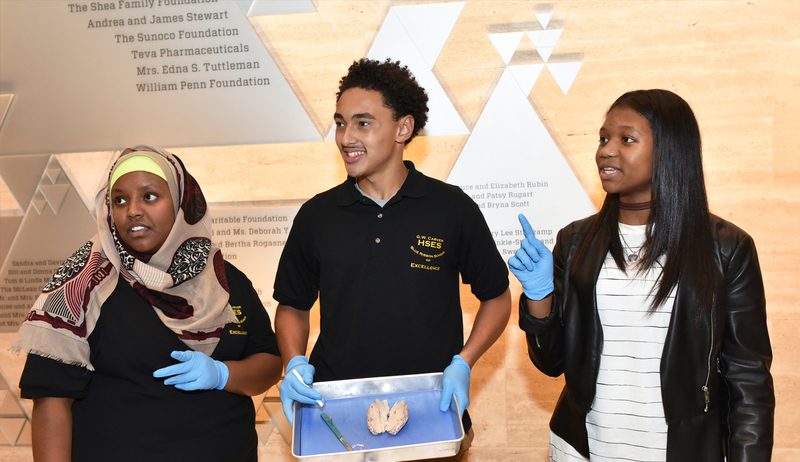 When you support the Endowment, you create a lasting legacy which will benefit The Franklin Institute, and the people it serves, for generations to come. Funds from the Endowment support both our daily operations and educational activities, as well as allow us to experiment and innovate through new projects and initiatives. Benjamin Franklin himself made a gift to the Institute and the investment of that gift continues to benefit students, families, and adults to become curious about science in the spirit of Franklin’s legacy today. From keeping our exhibitions current and cutting-edge to increasing free access for school children, gifts to the Endowment impact all areas of the Institute. As our endowment grows, so does our ability to deliver our mission in broad, new and exciting ways. Your contribution to the endowment could be an outright gift, or including the Institute in your estate plans through a bequest. Our charitable annuity program is also available. To support the Endowment Fund, please donate now or contact the development office at 215.448.1130. For more information on planned giving, call the Planned Giving Office at 215.448.1148 or contact by email. 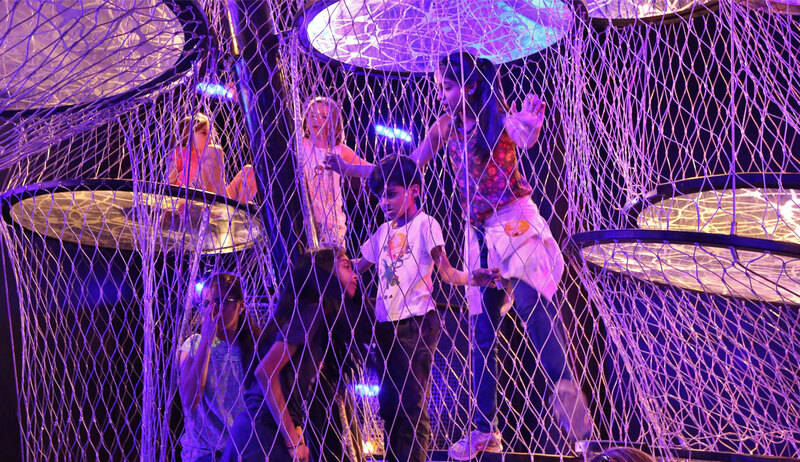 The Franklin Institute experience is one of wonder, curiosity, and inquiry. 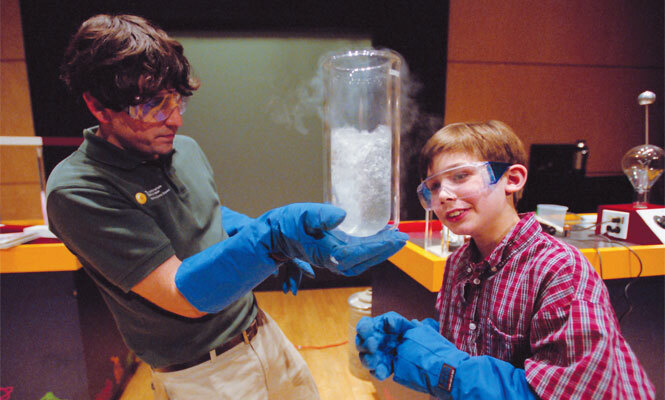 From nanotechnology to neurons to nebulas, our range of science and technology learning opportunities inspires students, families, and adults by engaging them in creative ways. Your contribution to the Franklin Fund supports the Institute’s ability to educate learners of all ages about science and technology. Your unrestricted, fully tax-deductible gift of any size will help reach more than 1 million people each year. A donation to the Franklin Fund is also an excellent way to honor or memorialize friends, family, and business associates while supporting The Franklin Institute's mission. Your contribution is 100% tax deductible and will be acknowledged with a personalized card sent to the honored individual/family. Make a donation now. Many companies choose to match their employees’ donations. Learn more about how matching gifts can double your impact. Benjamin Franklin’s long list of inventions includes bifocals, the lightning rod, a library chair, swim fins, the Franklin stove, the catheter, and daylight savings time. Your gift to the Innovation Fund enables us to think BIG with our ideas and be on the cutting edge of technological advancements. We can nurture the leaders of tomorrow who will advance the STEM fields—and imagine and invent new ones—that influence our daily lives. The Innovation fund currently focuses on digital initiatives that transform the visitor experience at the museum, and advance the Institute’s reach both nationally and globally. 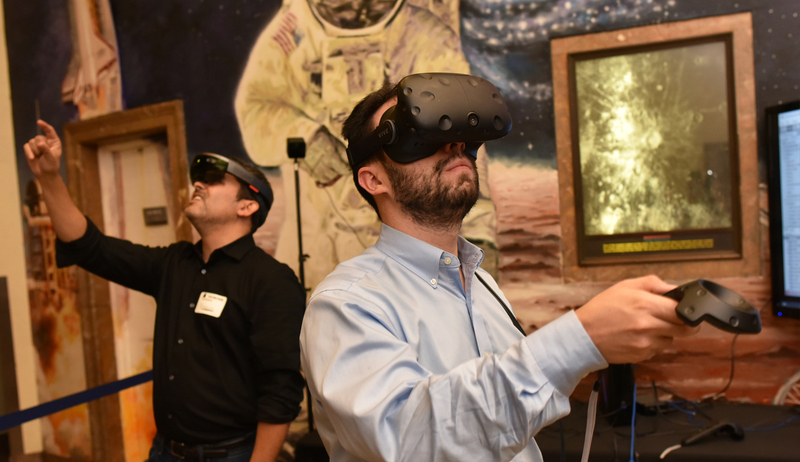 These include a ground-breaking mobile app, virtual reality experiences both at the museum and at home, exciting opportunities to digitize objects in our curatorial collection, and other cutting-edge ways we are using digital tools and experiences. These initiatives help us to maximize the breadth and reach of our mission and to inspire a passion for learning about science and technology. To learn more about our digital initiatives and tailored opportunities for supporting the Innovation Fund, contact the development office at 215.448.1130. To make an unrestricted gift, donate now. Your unrestricted gift to the Special Exhibition Fund provides meaningful support to help develop, produce, and procure the world’s best traveling exhibitions. The production of these exhibitions often takes years of work, research, and collaboration between many museums, scholars, and scientists. 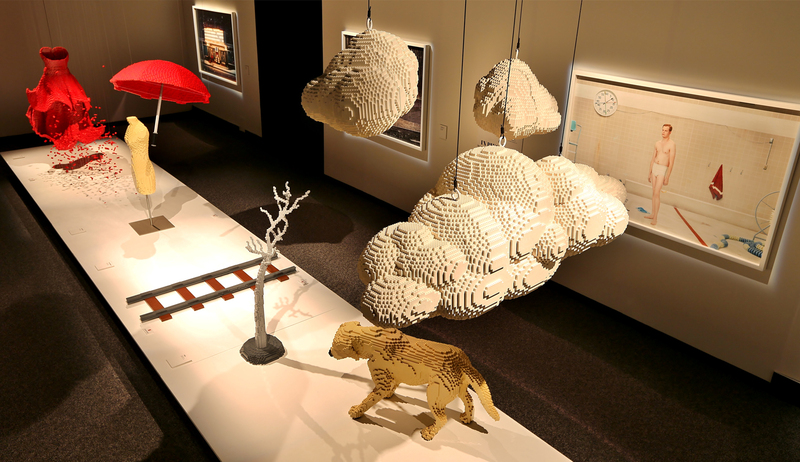 Your support allows us to create or bring to Philadelphia world-class presentations such as The Art of the Brick, King Tut, Cleopatra, Dead Sea Scrolls, Titanic, and many more. Donate now or contact the development office at 215.448.1130. View our Special Exhibition Circle Benefits page to learn about exclusive benefits for members at that level. To become a member of that circle, contact the development office at 215.448.1130. We also proudly offer corporate sponsorship opportunities. Never lose your membership card again! Download our NEW mobile app and enjoy the flexibility of always having your membership card at your fingertips!